Julianne Moore (born Julie Anne Smith 03.12.60) is an Academy Award-winning actress, known for her work 'Crazy, Stupid, Love. 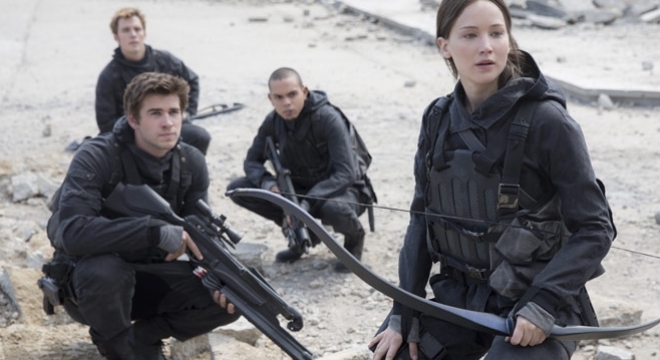 ', 'Still Alice', and the 'Hunger Games' franchise. Net Worth: According to Celebrity Net Worth in 2014, Julianne Moore has a net worth of 40 million USD. Childhood: Julianne Moore was born in Fort Bragg, North Carolina, to Anne and Peter Moore Smith - a paratrooper in the US army. Moore's parents later had two more children: Valerie and Peter. Due to her father's job, the family moved to various different places around the US, like Alabama, Georgia, Texas, Panama, Nebraska, Alaska, New York, and Virginia. At the age of 16, Moore moved from Falls Church, Virginia, to Frankfurt, Germany. Here, she attended Frankfurt American High School, and began attending theatre classes. Her parents persuaded her to gain a college education, and she therefore attended Boston University, and left in 1983 with a degree in Theatre. Career: Following her graduation, Moore moved to New York and worked as a waitress while appearing in an off-Broadway show. In 1987, Moore made her debut screen appearance in the television miniseries, 'I'll Take Manhattan'. She then appeared, two years later, in the television movie 'Money, Power, Murder.' Julianne Moore appeared in her breakout role in 1993, in the short film 'Short Cuts'. 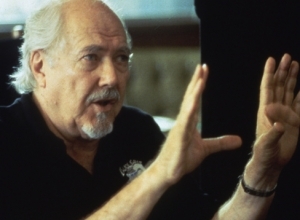 In 1997, Moore appeared in 'The Lost World: Jurassic Park' and 'Boogie Nights', before appearing in the film 'The Big Lebowski' the following year. Personal Life: Julianne Moore met stage director John Gould Rubin in 1984, and the couple were married two years later. In 1993, the couple separated, and their divorce was finalised in August 1995. In 1996, Moore began a relationship with Bart Freundlich. In December 1997, Moore gave birth to her first son, Caleb, before her daughter, Liv, was born in April 2002. In August 2003, Julianne Moore and Bart Freundlich were married. As the Time’s Up movement continues to sweep across the world with women - and men - from all over the globe coming out to share their own experiences, actress Julianne Moore has revealed the crusade helped her realise she herself had been a victim of sexual harassment. The Oscar-winning actress attended a Time's Up event at the Tribeca Film Festival in New York on Saturday (28Apr18) - where a number of high-profile names spoke in support of the anti-harassment and equality campaign. This film feels kind of like what you'd expect from a collision between George Clooney and the Coen brothers: a comical noir thriller with a hefty dose of social commentary. Essentially two films mashed together, it paints a clever portrait of America in the 1950s with repressed rage, racial unrest and deep-seated greed. But the film's most powerful angle is its story of a young boy's rather nightmarish coming of age. It's set in 1959 middle America, where Suburbicon is the town of the future, an idyllic place to raise a family. 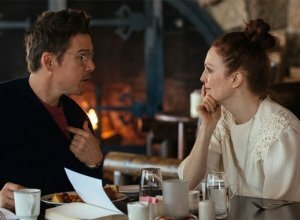 Then the Meyers family moves in, the first black family, and the community blames them when the Lodges - dad Gardner (Matt Damon), mom Rose (Julianne Moore), son Nicky (Noah Jupe) and aunt Maggie (also Moore) - are violently attacked. 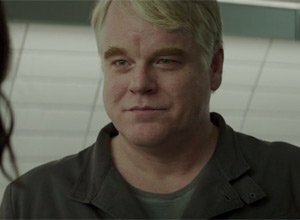 But an insurance inspector (Oscar Isaac) suspects that Gardner knows more about his attackers (Glenn Fleshler and Alex Hassell) than he's letting on. And Nicky knows he does. So as the neighbourhood descends into chaos to protest the Meyers' presence, Nicky quietly befriends their son Andy (Tony Espinosa). Clooney directs this in a colourful 1950s style, with jaunty music by Alexandre Desplat and vivid production design by James Bissell. This is a community that looks perfect on the surface, but more than a little rotten underneath. And the script lures the audience in with some clever twists and turns that shift perspectives and tones, playing with the way these people are interconnected. Much of this is observed through Nicky's eyes, and he sees everything even if he can't explain why something is happening. All of this builds to a properly intense final act that's laced with wicked humour to gleefully keep the audience off balance. So even as it turns increasingly violent, the suspense and irony keep us entertained. 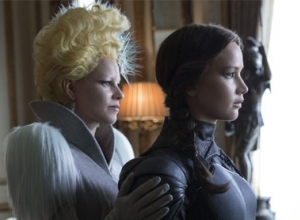 She got to play two different parts in the new movie. 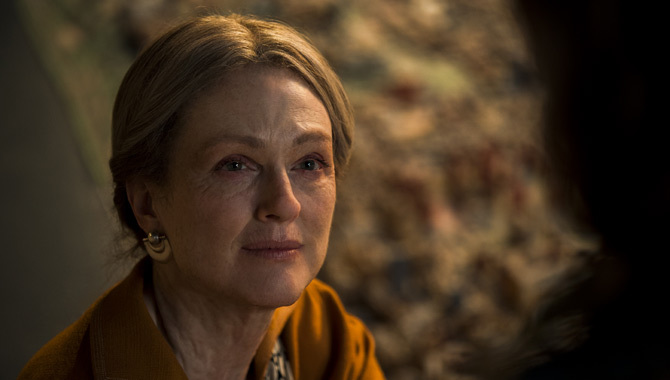 On Wonderstruck, Julianne Moore reunites for a fourth film with director Todd Haynes (see also Safe, Far From Heaven and I'm Not There). And for this one she gets to play two characters, a silent movie star in 1927 and a deaf woman in 1977. 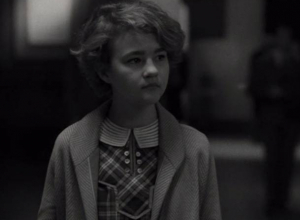 The film has dual plots that run parallel before merging at the end, following children played by newcomer Millicent Simmonds and Oakes Fegley (Pete's Dragon) who run away to New York City 50 years apart. "That's hard to resist, getting to play two parts," says Moore. "And the book is pretty extraordinary. It's about these kids who are trying to find their parents, but what they end up finding is their culture and community. That's something beautiful and very meaningful." Two years ago, Kingsman: The Secret Service seemed to come out of nowhere, ruffling feathers as it took an anarchic, often transgressive approach to the super-spy genre and made a star of Taron Egerton. 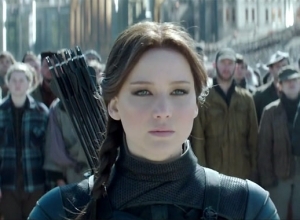 Now Matthew Vaughn is back with a sequel, and it's rather clear that he has a franchise in mind. The new movie is still wildly energetic and eye-catching, but it also has a more predictable plot that takes fewer risks. 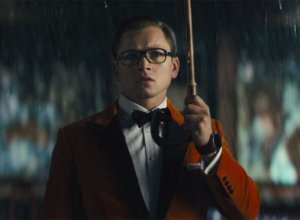 We catch up with Eggsy (Egerton) as he's a respectable member of the Kingsman juggling his private life with his serious girlfriend Princess Tilde (Hanna Alstrom). But megalomaniacal drug lord Poppy (Julianne Moore) and her part-cyborg henchman Charlie (Edward Holcroft) launch a vicious attack on Kingsman bases, leaving Eggsy and his colleague Merlin (Mark Strong) on their own. For help, they turn to their American counterpart Statesman, run by Champ (Jeff Bridges). His agents Tequila, Whiskey and Ginger (Channing Tatum, Pablo Pascal and Halle Berry) offer help getting Kingsman back on its feet. And they also reveal that they've rescued fallen agent Harry (Colin Firth), who is recovering from a brain injury. Meanwhile, Poppy launches a global assault. To tell this rather simple story, Vaughn indulges in all kinds of flashy visual trickery. The action sequences are choreographed like wacky cartoons, as the camera swoops through the complicated mayhem with acrobatic skill. And the characters are vividly played by the top-notch cast with maximum personality flourishes. Egerton is terrific at the centre, as adept at physicality and comedy as he is at finding a touch of emotion here and there. His scenes with Firth are especially strong. And Moore makes the most of her goofy kingpin, who is trying to recreate 1950s Americana in the jungle, plus added madcap 1970s flair with a riotous Elton John, who gets stuck right into the mayhem. The setting is Minnesota in 1977. Ben is a young boy who is deaf in one ear, being raised by his aunt and uncle following the death of his mother. Determined to find his long lost father, he attempts to contact him using clues from his mother's old possessions. His journey takes him to New York City where he hides at the American Museum of Natural History with the help of one of the employees' son Jamie. He soon retreats to a nearby bookshop where he meets a deaf lady called Rose who believes they are connected. Simultaneously, we are told of her story beginning fifty years prior in 1927. She's living in New Jersey and escapes to New York to seek out her idol Lillian Mayhew who turns out to be her mother. Unfortunately for her, she wants nothing to do with her, but her later life reveals her relation to Ben. In the quiet, seemingly perfect land of suburbia, a businessman named Gardner Lodge (Matt Damon) has everything. A high-flying career, a beautiful home, a wife and a young son, but when his house gets broken into by thugs who kill his wife, he starts to begin to understand the immensity of some of the mistakes he's made in his life. He's being hunted by loan sharks who happen to have connections to the mob, and they intend to get their money back no matter what the costs. When it starts to become clear that everything he has left is at stake, he decides to take matters into his own hands and give those mobsters as good as they give. Soon the neighbourhood transforms into one of the bloodiest in the area, and even his sister Margaret (Julianne Moore) gets dragged into her brother's vengeful scheme. For those who knew him, Gary Unwin (better known as Eggsy to his friends), was never a likely candidate for a spy. After stealing a car and being a bit of a hooligan (who's always up for a laugh) eventually Eggsy landed himself in trouble with the police. What the outside world didn't know about Eggsy was his father was an incredibly brave probationary secret agent and Eggsy displays many of his father's strengths. 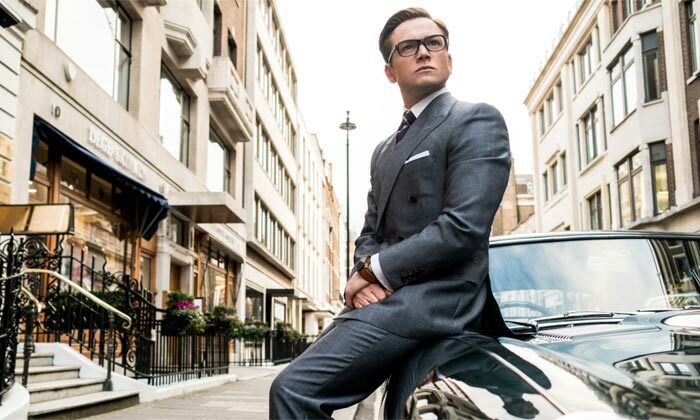 Kingsman Harry Hart sees Eggsy's potential and trains him up as a Kingsman spy. Only Eggsy and one other trainee, Roxy, succeed in proving that they have what it takes to become a Kingsman. Together, with the help of Harry and their quartermaster, Merlin, they defeat psychopathic billionaire Richmond Valentine. Their mission is a success but in the process Harry is shot in the head. 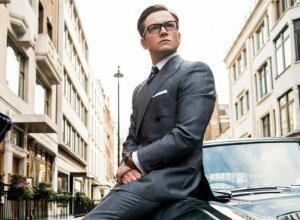 Though Eggsy loses his mentor, life continues for the young spy and he becomes the Kingsman that Hart always knew him to be. As worldwide threats become known, the Kingsman are once again placed as the brink of extermination. Their headquarters and training grounds are blown up and Eggsy and Merlin must once again find a way to save the world. Their hunt takes them to America and it's revealed that The Kingsman aren't the only highly secret organisation looking to protect the world; the two Brit's are introduced to Champagne, Jack Daniels and Tequila - three agents working for the Statesman, the US equivalent to Kingsman. With the help of their new American counterparts, Eggsy, Merlin and some other familiar faces might just stand a chance of saving the world all over again. Ellen Page thinks she's fallen in love with acting even more since coming out as gay in 2014. 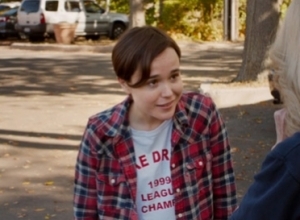 Ellen Page has become a better actress since coming out as gay. The 29-year-old actress revealed her sexuality to the world during a speech at the Human Rights Campaign's 'Time to Thrive' conference in Las Vegas in February 2014 and believes she's more ''in love'' with her job since she declared her true self to the world. @CherylHaase @MomsDemand @Everytown Next time please say hi! And thank you for your work. @RPatrickBooks Thank you SO much! Julianne Moore Explains Why "Women Are Fabulous"
Julianne Moore Wants An Oscar Because It Is "A Very Big Deal"